Sri Lankan cuisine might not be something that many people are familiar with. "Isn't it just Indian food?" You might ask. The answer? Sort of, but not quite. Although there are some common elements, the rice and curry spread that make up most Sri Lankan meals are pretty different from the usual paneers and biryanis that you might know. 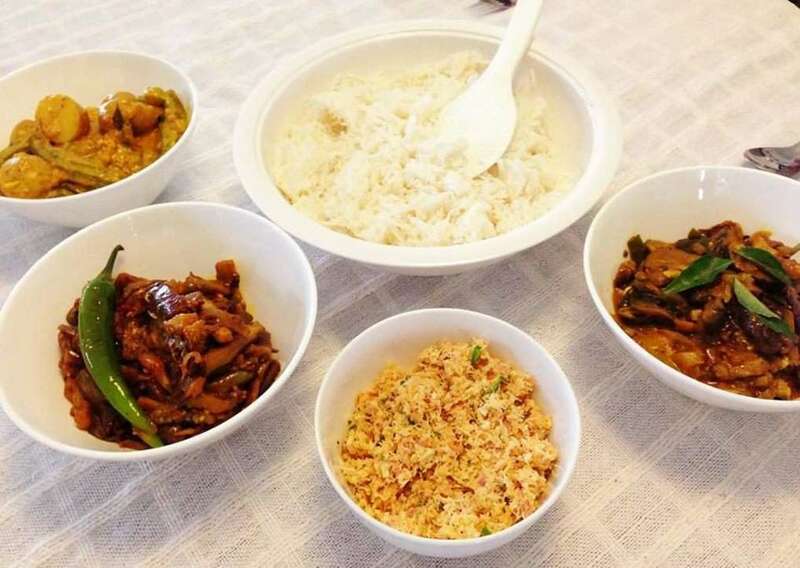 The Sri Lankan cuisine we know today offers up a more colourful array of flavor combinations – sweet caramelized onion relishes, sour fish curry, bitter gourd salads, and spicy meat curries tamed by rice! Rice is a staple in Sri Lankan cuisine and almost every meal consists of rice. In fact, one Sinhalese greeting, "bath kavatha?" literally translates to "Have you eaten rice?" A typical meal in Sri Lanka is called "rice and curry". It usually consists of rice (duh), a curry with chunks of protein, along with an assortment of side dishes – anywhere from four to ten, depending on the occasion. Besides being a staple in everyday life, rice also plays a prominent role in celebratory occasions. Kiribath is a dish made from cooking rice in coconut milk and served with some onion relish. The dish is believed to bring luck and happiness, and traditionally the first solid food given to a newborn baby, as well as the first meal served to newlyweds! Kiribath topped off with some lunu miris – a red onion and spice mix. Another building block in Sri Lankan cuisine is coconut. When people ask me if I would recommend Sri Lanka as a destination, I always say yes – unless you have an allergy to coconuts. And if you've ever been to Sri Lanka, you'll notice that coconuts are everywhere, and the locals even call the coconut tree the "Tree of Life" because there are just so many uses for it! I'm not even kidding – Sri Lankan coconuts put all the other coconuts to shame. 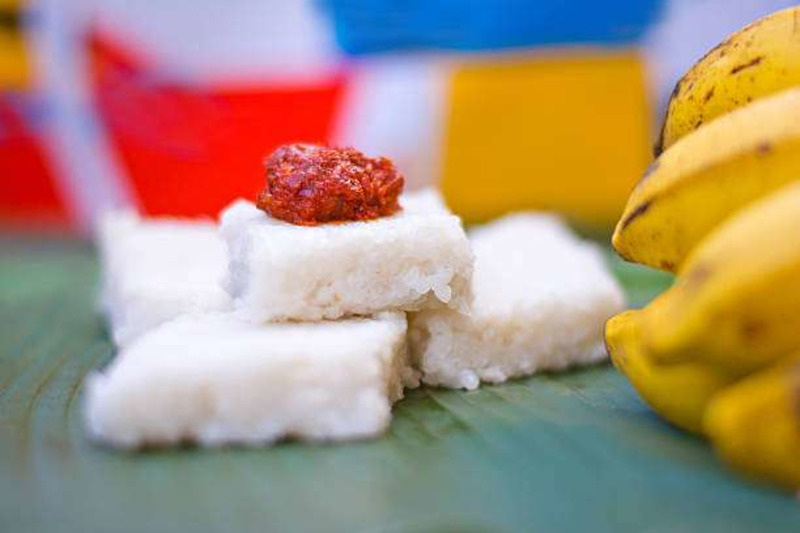 Apart from a refreshing drink, every rice and curry meal is also served with pol sambola – a coconut relish made from freshly grated coconut, red onions, dried chilies, lime juice, salt and Maldive fish. Often, coconut is also dry toasted and added to a curry to thicken it and add a lovely flavour. The hairs on the coconut shell can also be plucked and tied together to create a strong, sturdy rope. The shell can also be used to start a fire, as a superb fertiliser, or even to build roof shelters! 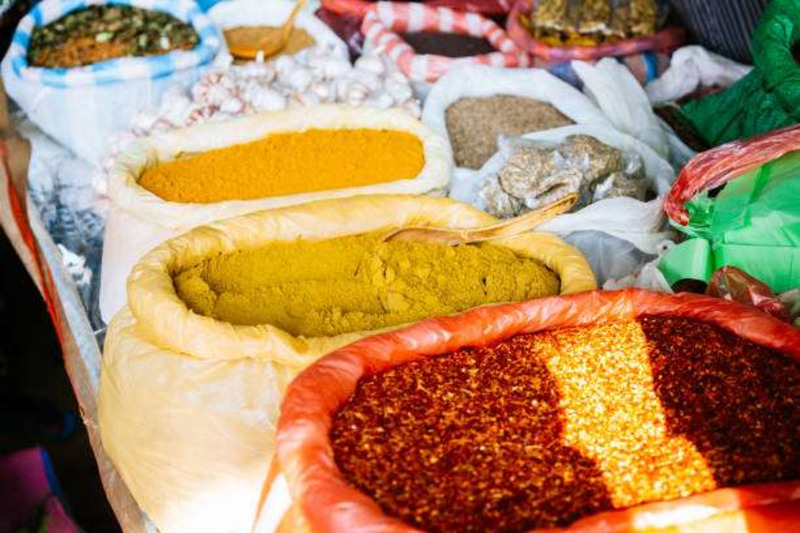 Other essentials in Sri Lankan cuisine include spices such as turmeric, cloves, cardamom, black pepper and many more! The most noteworthy might be black pepper, which is native to the island and was the most powerful spice in Sri Lankan cuisine before spicy peppers came along with foreign traders. You can still find black pepper curries on local menus, and they offer up a taste of the original Sri Lankan flavors as well as a different type of heat! Reading an article like this is one thing, but it's another to experience for yourself the true beauty of Sri Lankan cuisine. What if we said that you could get it right here, in Singapore? 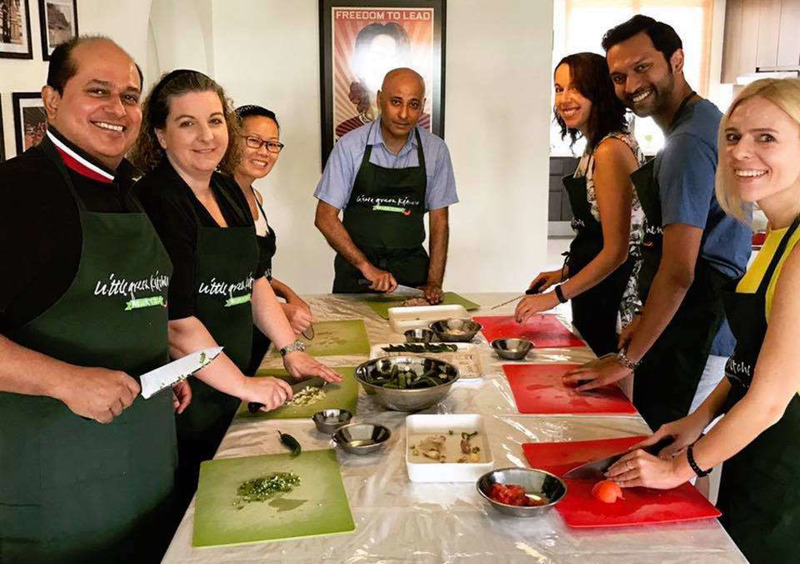 Learn how to prepare from scratch and cook some healthy, yummy Sri Lankan classics such as the pol sambola, black pepper mushroom curry, eggplant moju and more in this hands-on experience! You will also discover how to use and combine various types of spices to create flavourful and fragrant dishes. Be tantalised by the vivid aromas, and look forward to tasting or bringing home your creations at the end of the lesson! What are you waiting for? Contact us for more information about the next open class for just $85 per pax, held in the vicinity of Upper East Coast, or organize your own private experience! This workshop can be a wonderful bonding experience for your office, or even a hen's party or birthday party. We look forward to sharing with you the culinary pleasures of Sri Lankan cuisine!